The popularity of Powerball Australia is a testament to its incredible jackpots and easy-to-play options. Everything from the name to its logo provokes a visual image of electrifying energy which makes us excited to play. The massive million-dollar jackpots offered every week are enough to turn you into a regular player. You can put Powerball Australia to the test by choosing your six numbers from 1 to 40 and one bonus number from 1 to 20. Another option would be to use the Quick Pick selection for random figures. The next step is paying for your tickets so you can participate in the next lottery draw in the hopes of a small fortune. Offering a minimum jackpot of AUD$3 million in every draw is guaranteed. Better yet - you are still in the chance of a prize if you do not hit the jackpot as there are several prize divisions. The new regulations have resulted in larger jackpots so when a rollover takes place, a minimum of AUD$10 million is added to the jackpot prize pool. Tattersalls, South Australian Lotteries and LotteryWest manage the Powerball Australia. The first draw was held on the 23rd May 1996 and since then the Aussie lotto has gained popularity amongst players. As of 1st March 2013, the new lottery rules introduced a 6th main number for the draw. They reduced the ball pool of main numbers and bonus Power ball so that the lotto can offer better overall odds. In fact, statistics show that the overall odds of winning a prize have increased to 1 in 78. What makes Australia’s Powerball different to the US version? The difference is that the Australian lottery requires an extra main number from a smaller selection of 40 numbers as well as a smaller range of 20 bonus numbers. The Aussie sweepstake offers exciting top prizes, so you could afford a private chef cooking your meals. 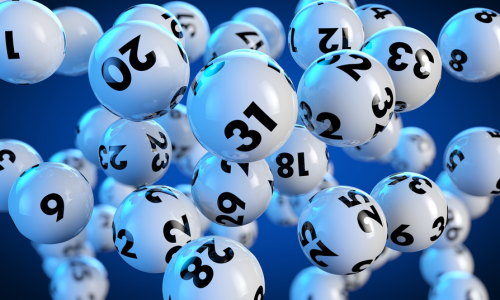 The Powerball Australia Lotto has no limit to rollovers so the amount is added on until the jackpot is won, possibly reaching eight-figure Jackpots. The Prize breakdown has 8 levels. Matching 6 main numbers can win you AUD$42,000 to the least prize level guessing 2 numbers and the bonus number. In fact, the Australia Powerball lottery statistics show that the overall odds of winning a prize have increased to 1 in 78. How and when is the lottery drawn? If you want to purchase lotto tickets last minute you have until the closing deadline at 8.30pm AEDT. 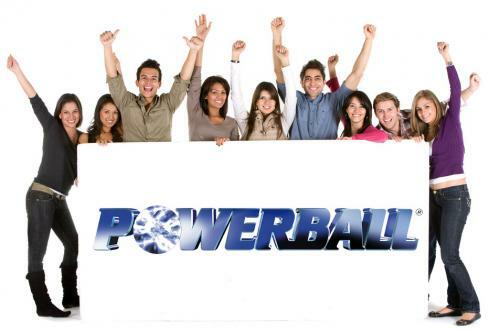 Australia Powerball is held weekly every Thursday at 9.30pm AEDT. Once the results are verified, the latest Lottery results and prize breakdown is updated online for you to check if you won any cash rewards. 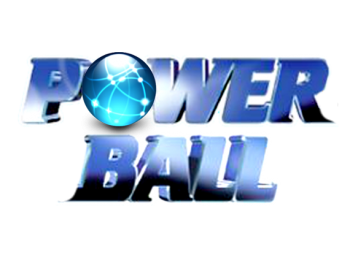 You can also check out the Powerball draw televised on 7TWO on Thursday nights at 9.30pm AEDT. What’s more - the lotto draws are also streamed online on Tattersalls official website tatts.com. 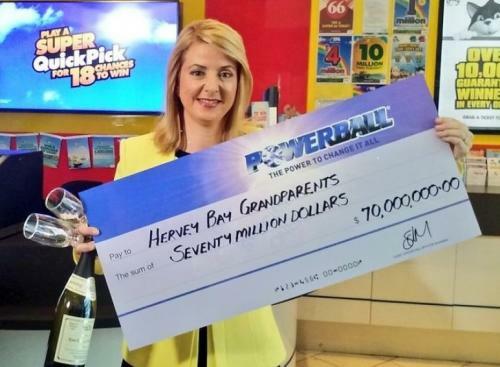 A couple from Harvey Bay Queensland claimed AUD$70 million in the Powerball draw. It was the couple’s wish to remain anonymous. With so many zeros to count in their mind-blowing cheque, the couple intended to help their family. Their generosity to donate money to several charities that are close to their hearts will help the community. They also mentioned that they have not travelled much and plan to travel to the US and Europe. The couple set their sights on a new dream car that just months ago had been out of their financial reach, but which they now can buy without a second thought. The Australian lotto offers various features and statistics, the quick pick tool and no limits to rollovers for a stress-free lottery game you can play. As long as you are confident and feeling lucky, nothing stops you from playing Powerball Australia. A seven-figure lump sum can be quite surreal but in the end it is worth living the life you want because you deserve it.